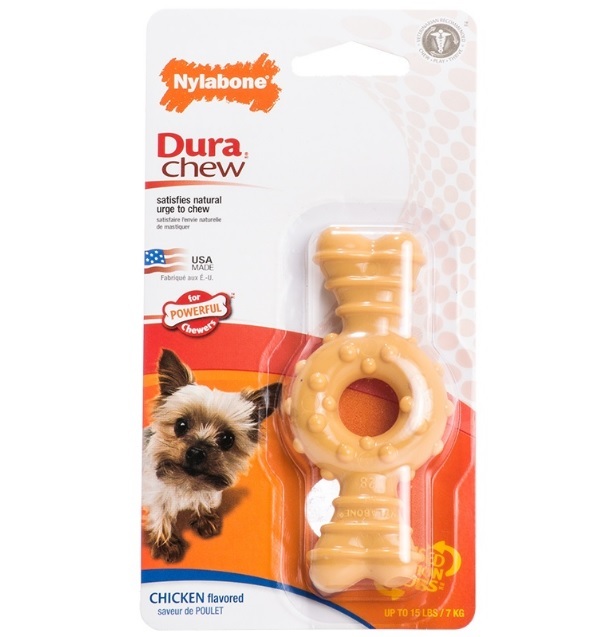 Includes: 1 x Nylabone DuraChew Textured Ring Bone Chicken Flavor Material : Made with durable nylon Measurement : 14 cm Suitable for dogs up to 7 10 16kgs Example Breeds: Basset Hound, Beagle, Bichon, Boston Terrier, Fox Terrier, Lhasa Apso, Poodle (Toy/ Standard), Pug, Smaller Breed of Samoyed, Schnauzer, Shih Tzu and many more. Caution: This toy is non-edible. As such, dogs should not bite off large pieces. Always supervise the use of chews and toys. This toy is not intended for children. 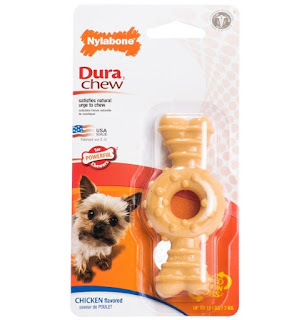 This product is not intended for chewing. Inspect, remove and replace if toy is damaged.